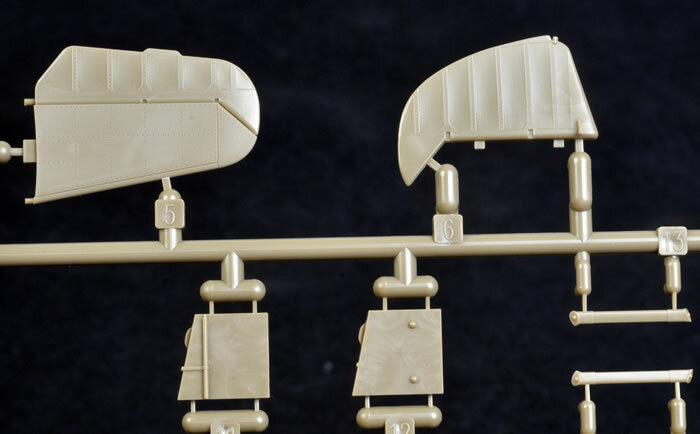 Contents and Media: 151 parts in olive coloured plastic; five parts in clear; two photo-etched frets (one in colour); canopy masks; markings for four aircraft plus full stencil data. 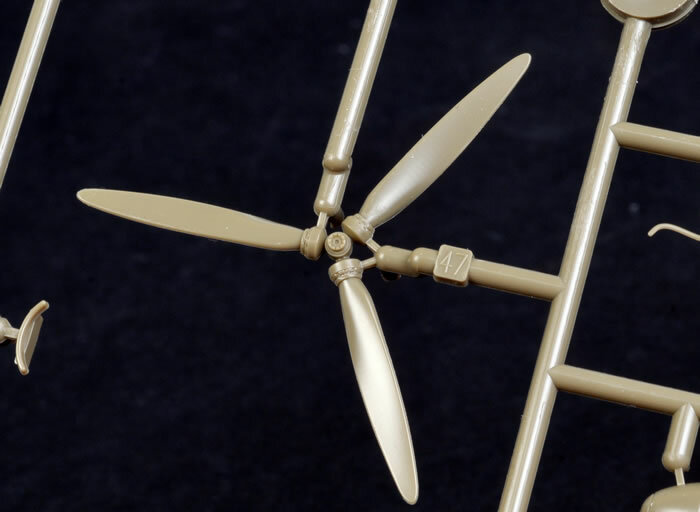 Conclusion: In my opinion, the best Messerschmitt Bf 109 E in 1/48 scale. The Messerschmitt Bf 109 A, B, C and D were powered by the Junkers Jumo engine. The Spanish Civil War presented the opportunity to test these revolutionary fighters in action, and they proved their worth in combat with Legion Condor over the skies of Spain. The Messerschmitt Bf 109 E series was the first of the family to be fitted with the Daimler Benz DB601A engine, resulting in a significant improvement in performance. Two variants were manufactured in parallel - the lightweight Bf 109 E-1 which retained the wing-mounted 7.9 mm machine guns of the earlier Bf 109 B, C and D; and the Bf 109 E-3 which was fitted with one 20 mm MG FF cannon in each wing. 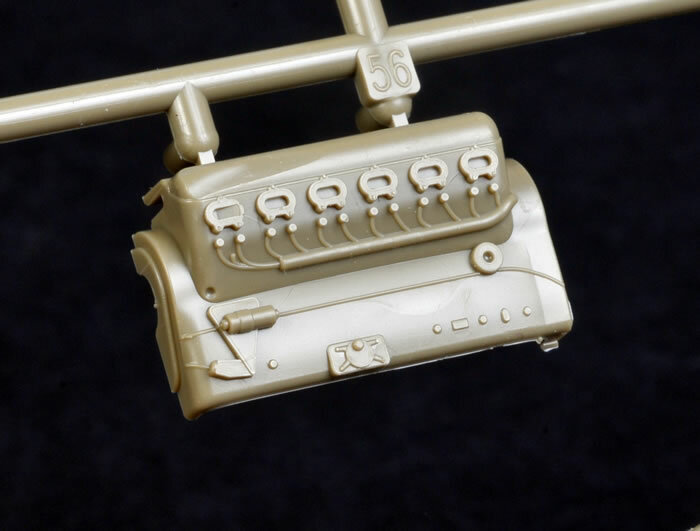 Both variants featured two additional 7.92 mm machine guns in the cowl. 1,183 Bf 109 E-1s were delivered. They first saw service with Legion Condor in Spain, then continued in widespread action alongside the Messerschmitt Bf 109 E-3 in Poland, the Low Countries, across the English Channel in the Battle of Britain and in the Balkans. 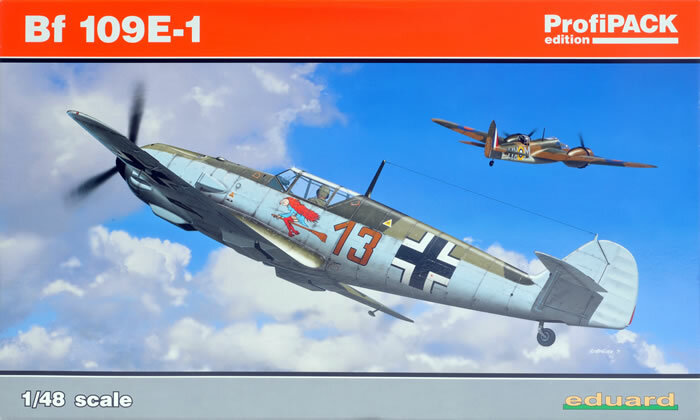 Eduard released the first in their 1/32 scale Emil series, a Bf 109 E-1, back in 2009. That kit offered the option to display the engine, a detailed cockpit featuring coloured photo-etched parts, separate control surfaces including flaps and leading edge slats, and superb surface textures. Fast forward almost exactly three years, and Eduard has now launched its 1/48 scale Emil family, once again with a Bf 109 E-1. The lineage of this kit is unmistakable. 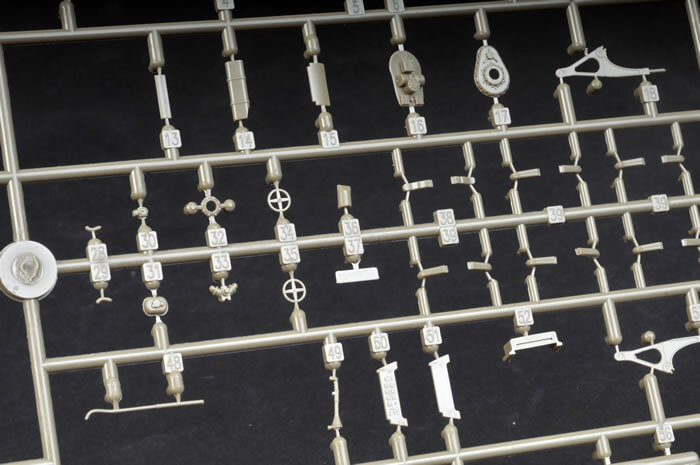 The larger model's general parts breakdown, level of detail, kit engineering (separate control surfaces etc.) and even the crisp, elegant surface features are all present with almost no compromise despite the smaller scale. 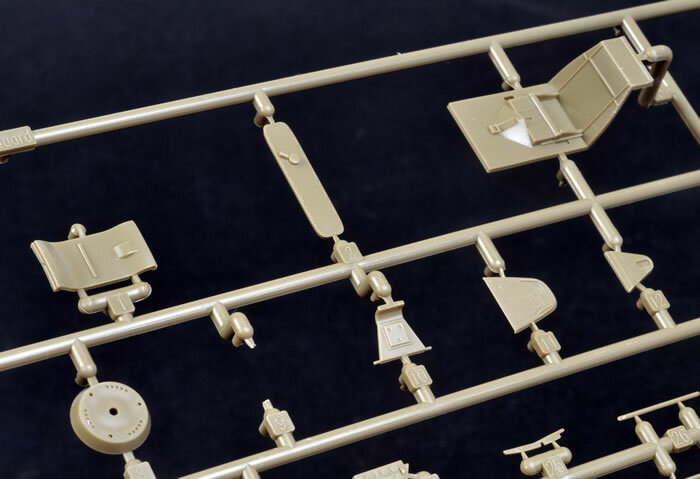 Inside the big sturdy box, Eduard's brand-new 1/48 scale Messerschmitt Bf 109 E-1 comprises 151 parts in olive coloured plastic, five parts in clear; two photo-etched frets (one in colour), canopy masks, markings for four aircraft plus full stencil data. 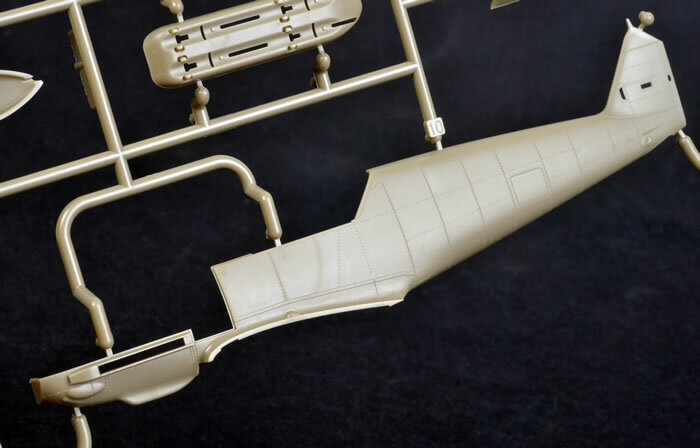 The parts are very well moulded, with only a few sink marks, the most obvious on the instrument panel rear cover but also a very shallow sinkage on front of the top wing halves near the wing roots. Eduard has been setting new standards in surface detail over the last few years, and this new release benefits from their typical crispness, subtlety and variety. 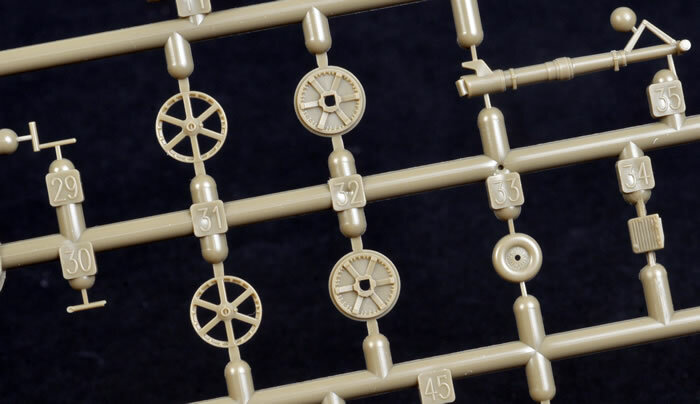 Finely recessed panel lines are supplemented with even finer rows of rivets. These are barely visible at some angles, and are consistent over the whole airframe. Very nice indeed. 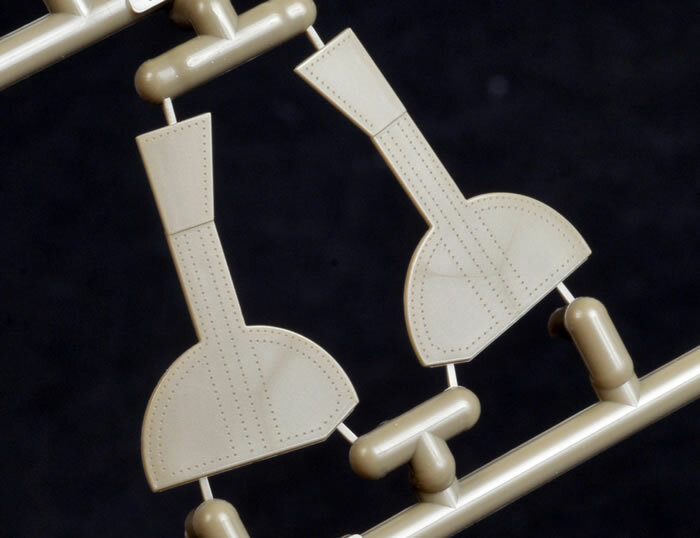 Control surfaces feature raised fabric strips and stitching. Lighting and enlargement seems to exaggerate the effect, but they look great on the sprues. Even so, if the fabric sag is too much for your personal taste, it will be a simple matter to fill the recesses with Mr Surfacer, or to sand down the raised ribs. Detail is excellent. 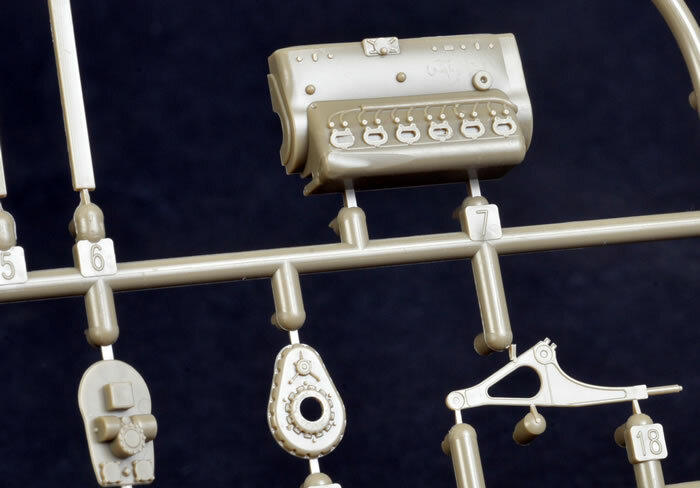 The plastic cockpit parts are combined with colour and nickel-plated photo-etch to deliver an authentic front office. 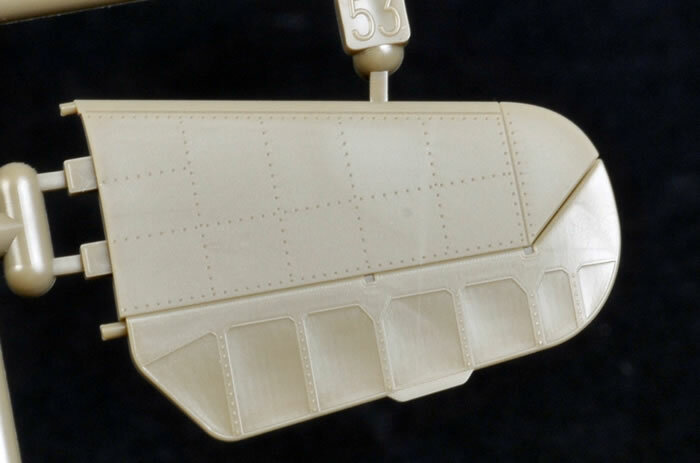 Colour photo-etched parts include the instrument panel sandwich, fuse panel and harness straps. Inside the well-equipped cockpit, the seat has been revised. The top of the seat has been rounded off and three raised rivets added above the slot for the shoulder harness. 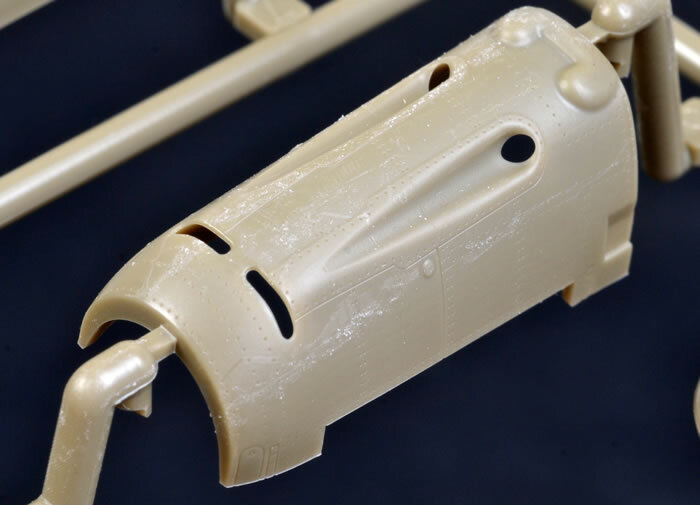 As far as I can tell after examining the taped-together fuselage halves, the mid-side spine does not appear to suffer from the slight hump found near the top of fuselage station 4 on the 1/32 scale kit. A full engine is supplied, but displaying it on the finished kit is optional. 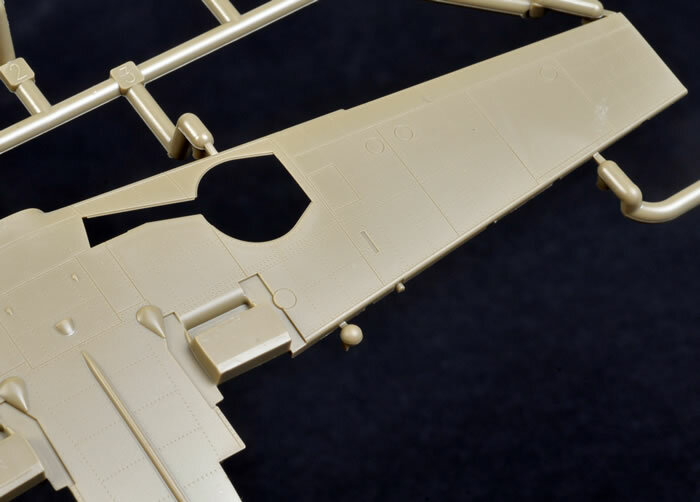 Unlike the 1/32 scale kit, the basic engine parts need to be fitted even if the cowling will be glued shut. 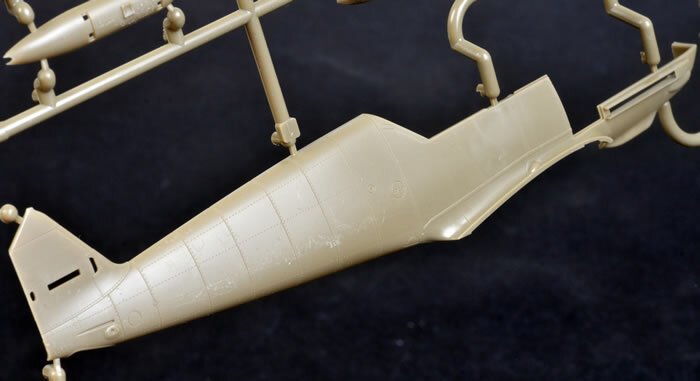 The engine block mounts the exhausts and propeller, but the cowling will fit over the top if you follow the instructions properly. In some ways this is actually a better idea, as the engine block is still visible through the front cooling slots of the closed engine cowl. The engine and cowl guns look good. Individual exhaust stubs are provided. These are hollow at the end and have raised weld seams down the middle - don't sand these off! 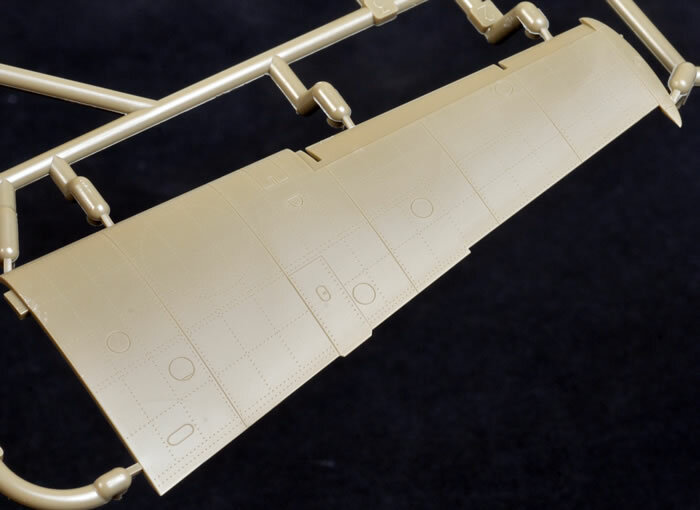 The cowl itself is supplied in four pieces - the main upper cowl, two rear side cowl panels and the gun deck. All control surfaces are separate - the flaps, leading edge slats, ailerons, elevators and rudder. The rudder actuator is provided in photo-etched metal. 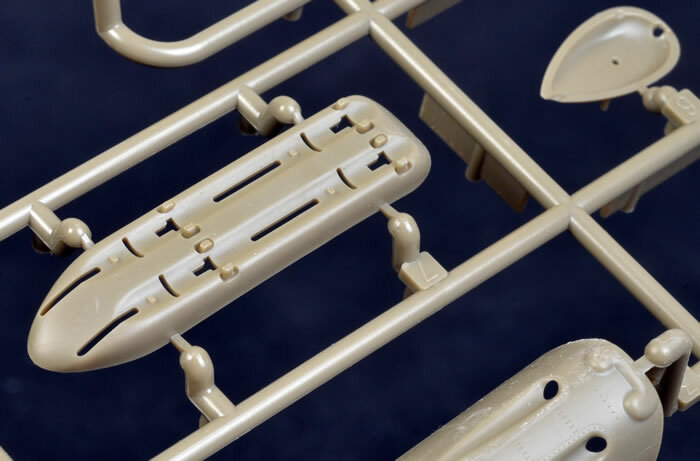 Flaps are moulded with tabs that will pose them dropped without modification, but it will be very easy to slice off the tabs and reposition if desired. The oil cooler and wing radiator front and rear faces are all supplied as photo-etched grilles. Wheel wells are boxed in thanks to a single part in each side that incorporates the gear leg and main wheel bay linings. The main wheels look fantastic, each featuring a two-piece hub and separate tyres. The early style canopy with the low horizontal framing is provided as three separate parts. External armoured glass for the windscreen is also included. 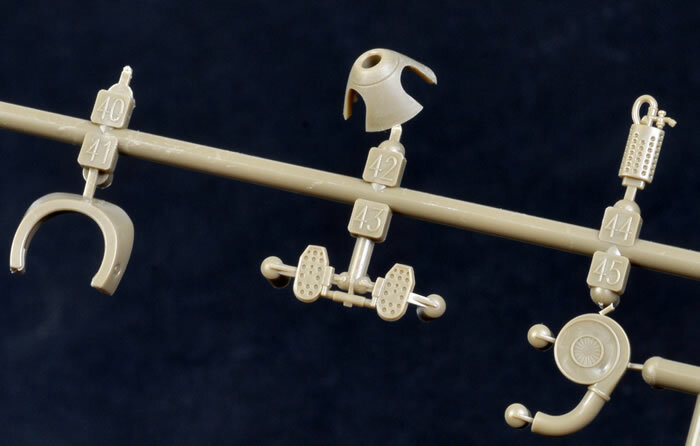 Although it is not used on any of the kit's marking options, this was sometimes retrofitted to Bf 109 E-1 and E-3s. The final clear part is the gun sight. 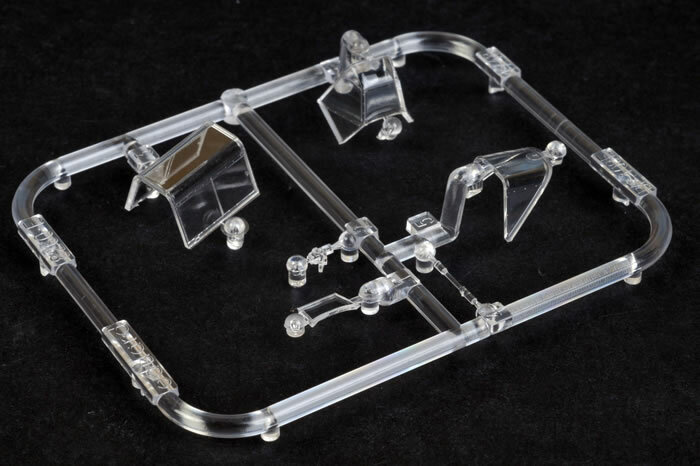 All the transparent parts are thin and free from distortion. The self-adhesive canopy masks are a time-saving touch. 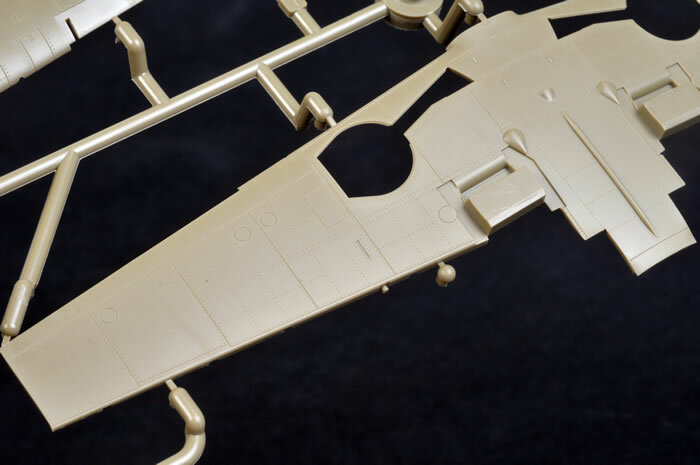 These options are essentially the same as the equivalent 1/32 scale kit, but Ubben's mount has morphed from Red 1 to Brown 1. Two decal sheets are included. 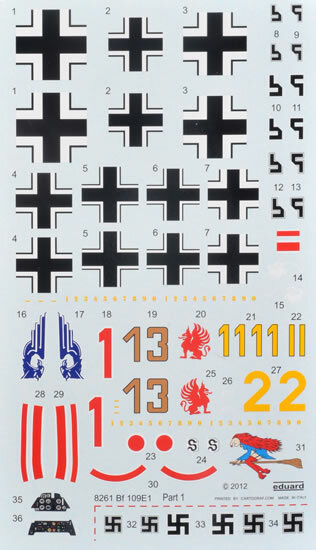 One contains the main aircraft markings and the second supplies a full set of stencils. A number of alternatives are included on the stencil sheet. Decals have been printed by Cartograf. Register is perfect, colours are rich and opaque, and visible carrier film is non-existent. They don't come much better than these. I particularly like the interpretation of RLM 04 Yellow on this sheet too. 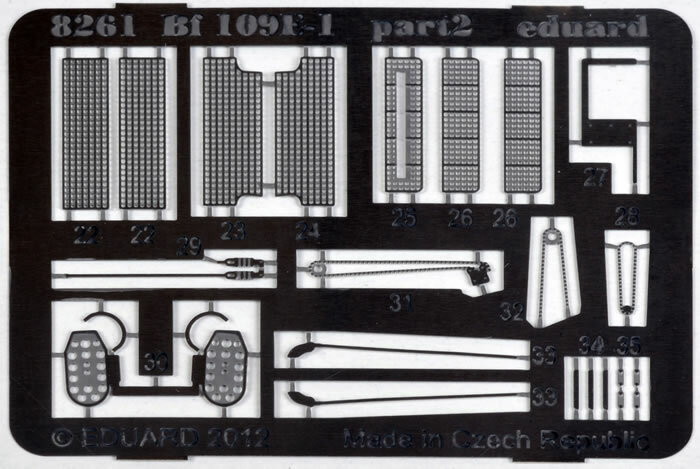 One of the popular ongoing discussion points about Eduard's 1/32 scale Emil kits is the depth of the leading edge slats. On that kit, the slats are too deep. The depth at the widest point is 10 mm. 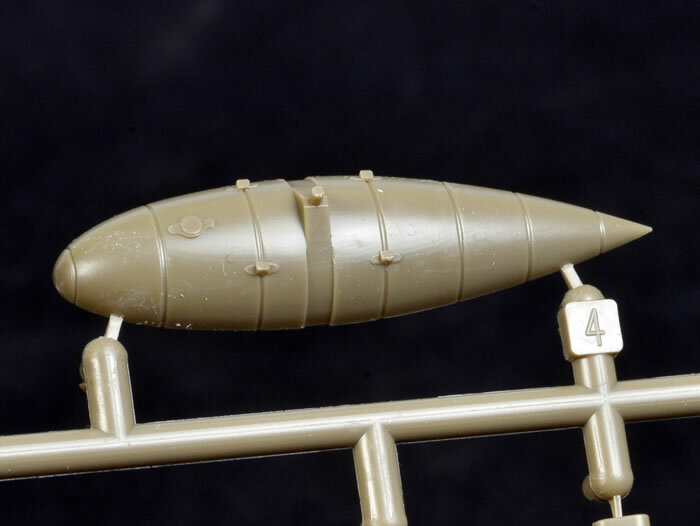 If we scale this down to 1/48 scale, the depth would be 6.66 mm. 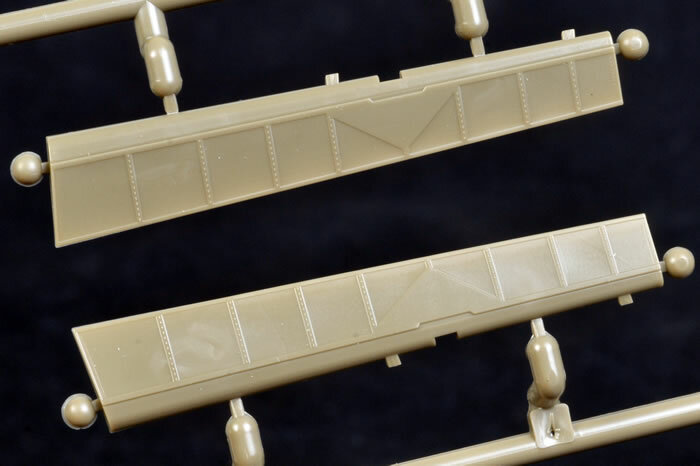 The Airfix 1/48 scale Messerschmitt Bf 109 E slats are often referred to as looking correct. I measured the Airfix slats at their widest point and they are 5.5 mm deep. 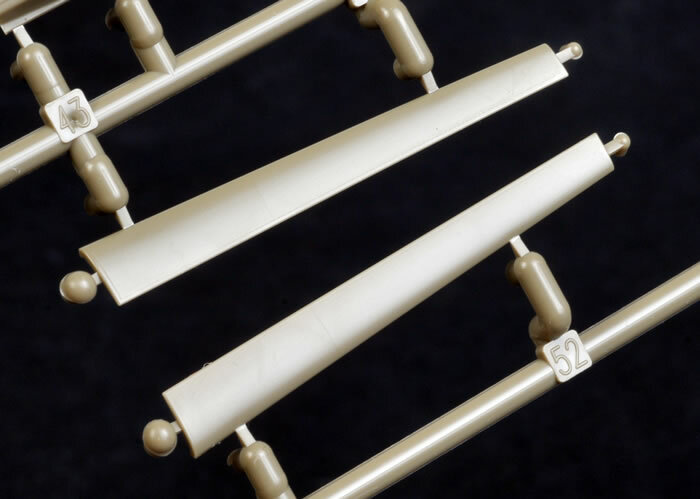 The new Eduard slats are approximately 6.0 mm deep. 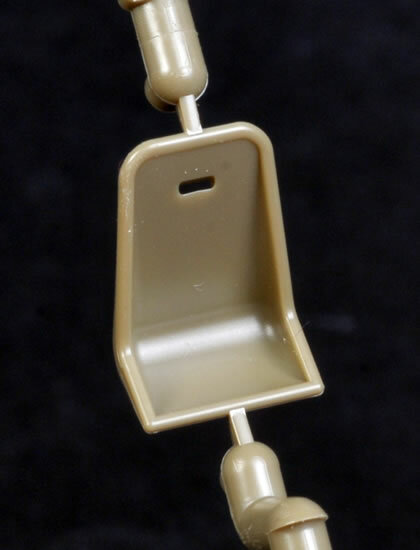 This is 10% narrower than the scaled-down 1/32 scale slats, and only 0.5 mm different to the Airfix slats. I cannot confirm the exact depth of the real slats as I do not have any plans that I would trust to that level of detail; and I foolishly failed to bring a tape measure when I came face to face with an Emil in 2005! However, I took a photograph of the Eduard and Airfix slats together to demonstrate the visual impact of this discrepancy. The photograph is taken from directly above with both slats lying side by side on the table at the same time. This 1/48 scale Messerschmitt Bf 109 E-1 benefits from all the incremental improvements to Eduard's 1/32 scale Emils over the last three years including excellent new wheels. 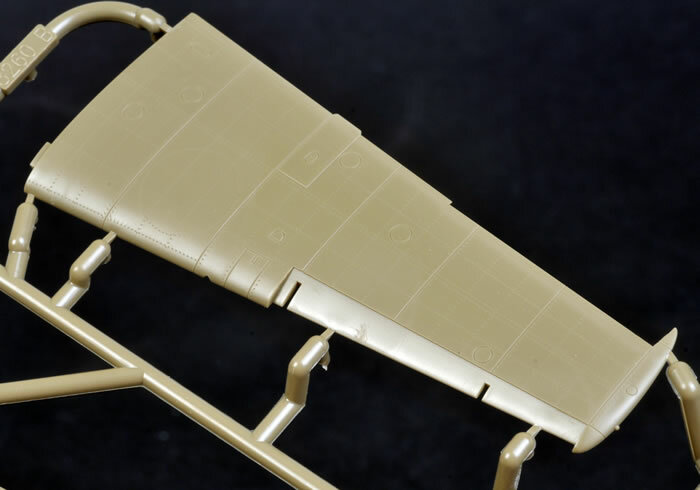 In addition, Eduard has taken advantage of the new tooling in this scale to improve the pilot's seat, the fuselage spine and leading edge slats (certainly narrower than the 1/32 scale kit and now barely perceptibly different to the Airfix slats at the widest point). 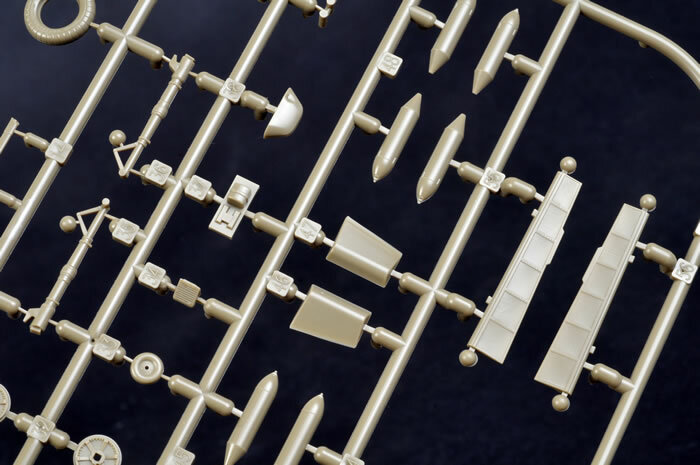 The level of detail is essentially the same as its big brother, which means that this is clearly the best detailed Bf 109 E straight from the box in 1/48 scale. 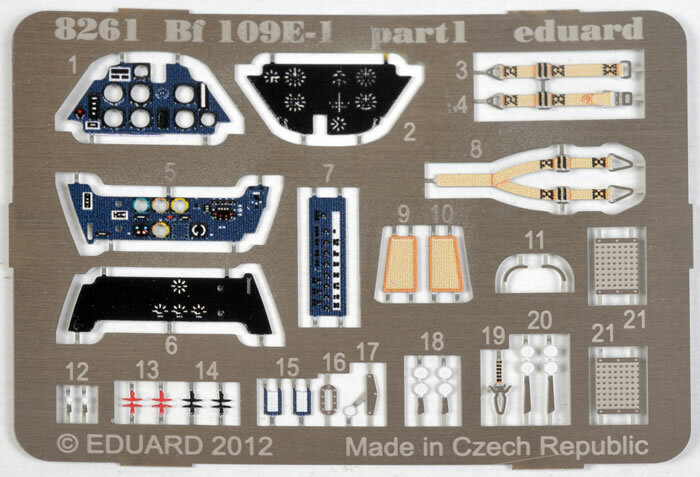 Out of all the 109 Es currently available in 1/48 scale, Eduard's is the only one with proper engine detail as well (Airfix has an upper engine block shape moulded to the fuselage halves, but it is not really meant for display). The amazingly crisp and subtle surface detail makes it a class leader in this category too. 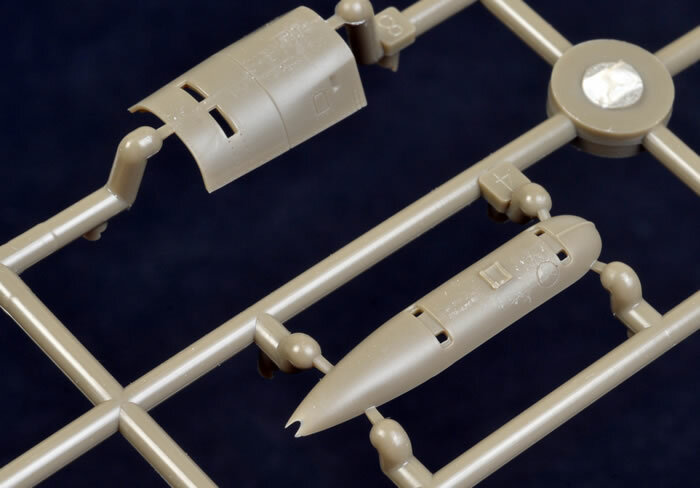 I suppose the only remaining question is, do we really need another 1/48 scale Messerschmitt Bf 109 E? Well, when the newcomer is as good as this one, I would say there is still room in the market. With its service from the Spanish Civil War, the Munich Crisis, the invasion of Poland, France and the Low Countries, the Battle of Britain, the Balkans, the Western Desert and Meditteranean, and the Eastern Front, there is certainly no shortage of colourful and varied markings for a new Emil. It looks like I'll be building a few more 1/48 scale Emils before long! 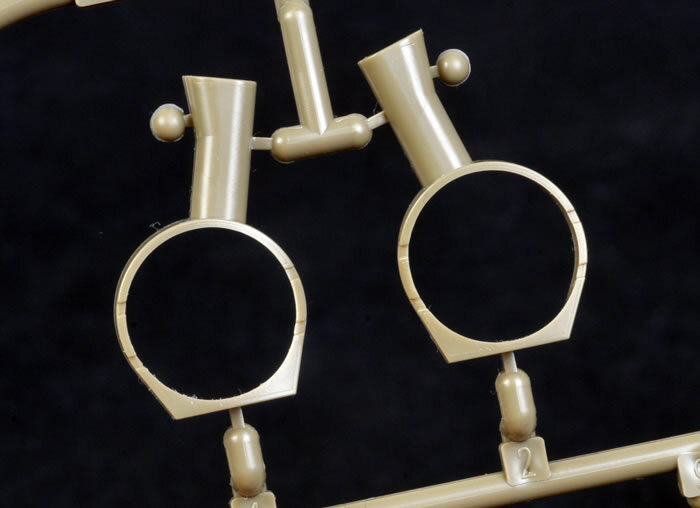 You might have noticed that a few of the pieces are scuffed in the photos. This is because these pre-release sprues were not bagged during transport. The production kits will have their sprues suitably protected by separate plastic bags. I suspect that five minutes with a couple of Micro Mesh cloths will restore the surfaces of my parts anyway.